Identifying Mom is the easy part -- who she is, where she is, and what she likes. The hard part is balancing content with brand messaging and finding the right tone and authenticity. How does a brand build a relationship with her? The more you know about her, the easier it will be to develop programs with her. And "with" is the operative word! The days of push media are over. Today's social media moms rule the social web: Facebook, Twitter, MySpace, Bebo, FriendFeed, and more. From family, fashion, finance, and fun to technology, travel, cars, and healthcare, moms account for $2 trillion dollars worth of purchases, and there isn't a brand on Earth that doesn't want to connect with her. To reach her, the first step is to remember that it's all about communicating, which is very different than selling. So with that in mind, here are some examples of brands that have done a great job connecting with moms in the social media space. Moms are the family's primary archivist. But organizing and archiving the family's memories can be a daunting task in the midst of bringing up children and all of Mom's other daily tasks. Recognizing this, Mattel's Fisher-Price launched a Facebook application with an easy, simple interface that leverages the power of Facebook -- where there are already more than 36 million moms. Fisher-Price hopes to leverage the insights of recent studies revealing that sharing photos is the No. 1 thing moms do online. Called "Moments to Share," the app allows moms to organize photos and videos and write accompanying stories that are collected into a timeline. As she uploads and dates each "moment," the memory automatically populates a timeline in chronological order. The moment can be personalized with the date, a child's name, and a title. For moms, the application presents a more organized and targeted way of sharing photos and videos with family and friends on Facebook. All the controls are in Mom's hands in terms of which of her friends she shares an individual moment or the timeline with. The campaign, conceived by Big Fuel Communications [Ed. Hey, what's a contributed article without a little self promotion?] , employs social media best practices and subtly integrates a commerce aspect into the application by using the right side of the application page to suggest products for children based on their age and gender. MomsRising.org is an organization whose mission is to end economic discrimination against mothers. Last year around Mother's Day, MomsRising created a campaign to boost its membership. The timing, of course, was perfect. Simply put, the organization allowed users to create a customized video celebrating their moms and their achievements. Imagine getting a video with your name embedded in it, brought to you in a mock news format using news reporters and celebrities, all giving you a shout-out. Mom has never gotten so much attention. MomsRising has managed to blend the shout-out to moms with the kind of initiatives the organization supports, while amusing the recipient as she sees her name tattooed on well wishers -- even President Obama. Everyone praises the recipient except Angelina Jolie, who is apparently disappointed that she didn't receive the award herself. We like this campaign because it provides a captivating and personalized tool for recognizing Mom. It does a beautiful job of reflecting the organization's mission. 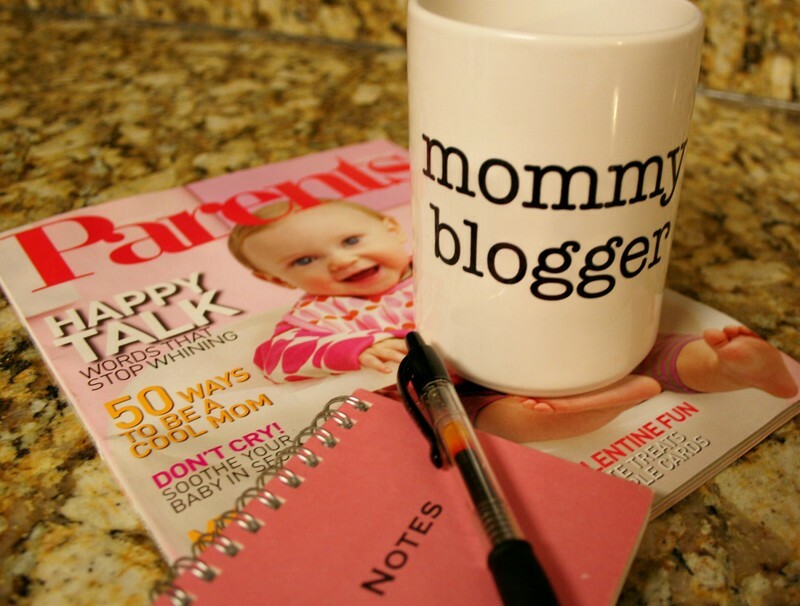 By making it personal, MomsRising made it engaging and infinitely shareable. And it shows the organization understands one of the things moms are looking for -- just a little recognition for all they do. We're sure moms who were on the receiving end of this campaign were touched. Not only can you send it to your mom, but the organization made it easy to include every member of your family. And the numbers provide an excellent indication of the campaign's success: MomsRising.org membership went from 140,000 supporters to 1.1 million in a very short time. Now granted, Estee Lauder's efforts are reaching more than just moms. But it's worth noting the terrific job the brand is doing in the social media space, from free makeovers tied with new profile pictures to an online makeover tool you can download to your Facebook page or desktop. In the first program, the company offered women free makeovers and provided them with "after" photos to use as their profile pictures on social networking sites. All women had to do was make a small concession: The photo had the Estee Lauder logo in the background. The promotion, which includes a 10-day supply of foundation and kicked off on at Bloomingdale's in New York, will extend to Macy's, Saks, and other Bloomingdale's stores in Southern California, Miami, and Chicago. You could also join the 27,000 other members of Estee Lauder's Facebook fan page. We also love the "Let's Play Makeover" virtual makeover tool. Users can upload photos and play with virtual make-up -- something many moms (and other women) enjoy doing. The company has integrated the shopping experience into the application, telling users what specific makeup they just used, the specific shades, and enabling them to buy it via a link within the app. Woman can save their looks, share their looks with friends, and even create before and after looks. The beauty is the application allows women to play in the privacy of their own homes and try makeup before they buy it. We also love that it's not a one-shot application. Moms get bored with their same look, and this application enables them to update their look whenever the mood strikes. Especially for moms who have just had a baby and are perhaps still waiting to lose the baby weight, this application can help them feel more beautiful. Today's moms are constantly on the go. Via a newly launched application, Target has embraced mobile as a way of making it more convenient for moms to shop. Moms no longer have to carry cash. They can checkout via their mobile phones simply by using Target gift card information. They can find gifts and update gift registries while on the run. Everything available on Target.com can be purchased, and moms can search by personality, price, gender, or age. Through the mobile site, moms can search locally for the nearest location that has the items they're looking for, and Target also provides companion customer reviews. If that wasn't enough, no more cutting coupons or searching for coupons -- they are sent directly to the users' phones, complete with a bar code they can use to take advantage of any sale. From a targeting perspective, this application has all the ingredients of success built in when it comes to reaching moms. It provides them with the ultimate in convenience and information. 1. Moms won't be won over by push messages. Brands need to join the conversation. 2. Mom is looking for a relationship -- a two-way dialogue that shows the brand is listening and responding. 4. Moms don't expect brands to be perfect, but they expect honesty. 5. Moms work best when you give them tools and knowledge and then turn them loose to customize and make them their own. 6. Moms like relevancy. Fill a need, answer questions, value her opinion, and then let her see action taken. And don't forget to make buying fun. 7. Moms like you to get to the point. They're busy, so be authentic, clear, and genuine. Otherwise, the response will be skepticism. 8. Moms love to be comfortable with decisions, and information is key to comfort. Make their homework easier. 9. Moms think pragmatically and emotionally. Brands need to cover both sides of the conversation. 10. Moms like stories. Social media is about communicating -- telling a story -- which is extremely different than selling. In addition, moms are combining forces to harness the power of the web and technology to build their own personal brands. They teach each other how to use Twitter, Facebook, and myriad other applications. Armed with their mobile phones -- they rarely leave the house without them -- moms are using their phones to coordinate, expedite, communicate, and ferret out information they need to feel connected, empowered, and in control of their lives.